The Black Hills Coupon Book, a premium product for groups to raise money and for consumers to save money. 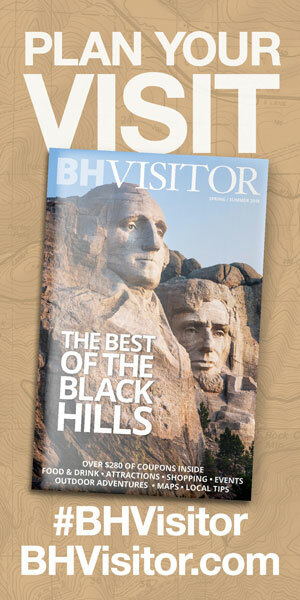 The Black Hills Coupon Book is a money-saving coupon book for both the traveling and local consumer. It features hundreds of coupons from the area’s local and franchised merchants in several cities in the Black Hills, including Rapid City, Deadwood, Sturgis, Spearfish, Hill City, Custer and Hot Springs. In 2006 our publication began as a Discount Card offering $175 in savings with 20 offers. 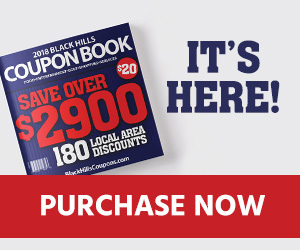 The Card evolved into the Black Hills Coupon Book in 2009 and has grown to include over 200 offers with a potential savings value of $2,500.00. The Black Hills Coupon Book is also a fundraising program for sports teams, churches, civic groups and any group needing a fundraiser. Several groups rely on the Black Hills Coupon Book as their primary program to raise funds every year. The program is exceptional and works well for both small and large groups. The Black Hills Coupon Book fundraising program has helped community groups and organizations raise hundreds of thousands of dollars, while having a stress-free and positive fundraising experience. Contact us to start your fundraiser today! Attractions, entertainment, fun coupons valued at over $750.00. Golf, green fees, bucket of balls, and pro shop discounts valued at over $175.00. Dining, snacks, ice cream, coffee, smoothies and sundae coupons valued at almost $550.00. Service coupons for salon and spas, and bicycle and auto repairs valued at $360.00. Businesses want more customers, and customers want a bargain. 63% of consumers say coupons are an influential factor in making purchase decisions. We make the coupon book valid for a full year so customers have access to great deals for as long as 12 months. We work all year long to create the follow year's coupon book. Including a buy one get one free offer is totally FREE for advertisers, but does require an aggressive offer. Offers with a lesser value will be put on a waiting list for inclusion and will have a nominal set up fee. The coupon book is printed and made available in January. Fundraising groups begin selling them in February, we have them available for purchase at events, consumers can purchase online or at a local retailer.